Nkgomeleng Lekodeba joined HE2RO in August 2016 as an interviewer and has since been promoted to a Research Assistant in May 2018. He holds an undergraduate degree in Economics from the University of Limpopo and currently completing his Honours (Economics) at UNISA and also, pursuing a certificate in Statistics for research and design at the University of Witwatersrand. Prior to joining HE2RO, Nkgomeleng worked as an intern at Human Sciences Research Council under the National Research Foundation (NRF) internship programme. 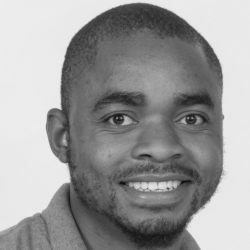 He is currently involved in the research related to Alternative models of ART delivery: Optimizing the benefits (AMBIT) and also the Cost and Outcomes of Private Primary Health Care Delivery Models in South Africa.